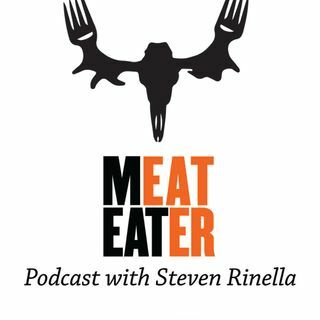 Bozeman, MT- Steven Rinella talks with Kurt Racicot of Stone Glacier, Mark Kenyon of Wired to Hunt, along with Janis Putelis of the MeatEater crew. Subjects discussed: revisiting Kurt’s impossible hunt; creating problems for yourself; Mark Kenyon's Montana public land whitetail hunt; taking note of squirrels; dreaded shots; making your kids eat more than just buttered noodles; gear that you brought but didn’t use and gear you shouldn't have left behind; cutting books into thirds; Tom ... See More Petty's tracking of a single bee to its hive; and more. To learn more about the ideas and materials referenced in this episode check out the show notes here.